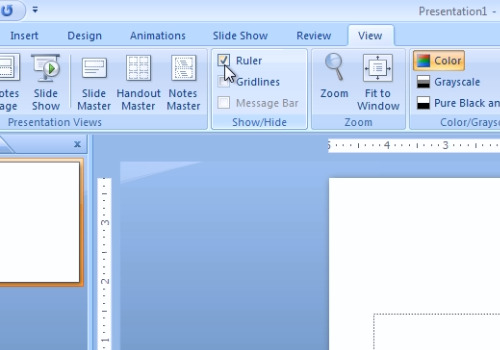 In this video tutorial we will show you how to show the powerpoint ruler. 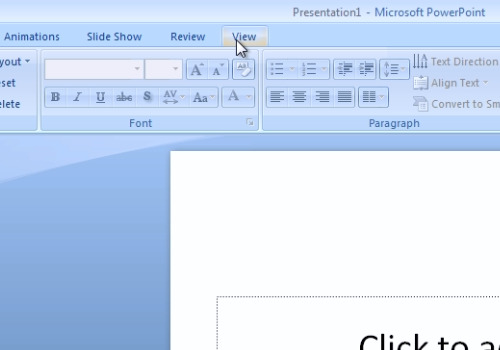 Open Microsoft Office PowerPoint. Go to the “View” tab. In the following menu check the “Ruler” option in the “Show/Hide” area. If you need to hide it, just uncheck the “Ruler” option.